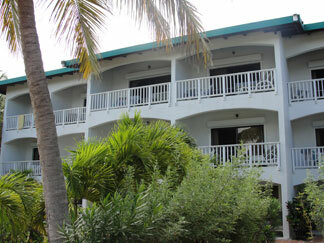 Allamanda Beach Club was reviewed by Kristin Bourne. Affordable beach-view units near Shoal Bay Beach, Allamanda offers clean and comfortable apartment-style hotel rooms with small kitchens and balconies in Shoal Bay East village. 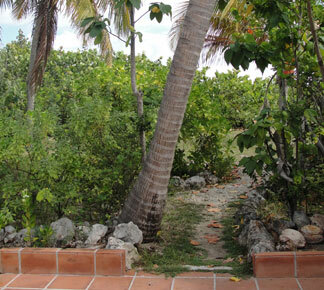 The property has a pool, restaurant and path to the beach. *Insider Tip: Rooms 3 and 4 are the best on property! 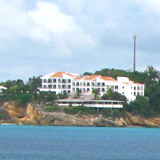 Nori and I have long been curious about the Anguilla hotel, Allamanda Beach Club. 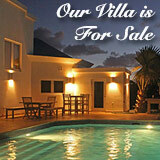 After all, it is located only a 2 minute walk from Anguilla's most well-known beach, Shoal Bay East. So, it was quite serendipitous when I met a nice couple (Jeanette and James) on Shoal Bay East who were staying at Allamanda. Their review of it piqued our interest. 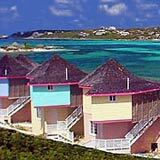 Our travel plans were originally a 10 day trip to St. Maarten, staying with friends at their timeshare. 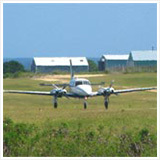 We had discussed doing a day trip to Anguilla. Sadly, our friend's timeshare was foreclosed on and shut down pending new owners approximately 2 weeks before our arrival. 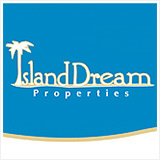 Our friends, the timeshare owners, were re-located by the property owners. We then found ourselves on our own to find accommodations at the last minute. James spent quite a bit of time researching our options and we decided to split our time, spending 6 days in Anguilla and the last 4 in St. Maarten. 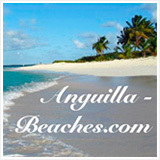 We came across Allamanda Beach Club from a website for Caribbean hotels. It looked clean and was very reasonably priced, especially considering the amenities offered. Our plan was to spend time at the beach, so Allamanda looked to be fine. In retrospect, while St. Maarten was a fun time, we would have been happy to stay in Anguilla for the whole trip! 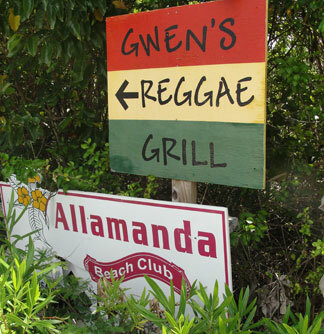 When we arrived at Allamanda too early to check in, the very kind woman named Karlyn, allowed us to stow our bags and suggested we hang out at Gwen's Reggae Grill until our room was ready. We returned a short while later. We were so pleasantly surprised by our third floor room, not only in size and comfort and that it had a full size kitchen, but the view from our large balcony was magnificent. 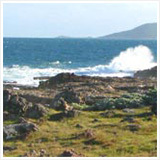 The whole property is beautifully kept and very serene and quiet. We were instantly very comfortable in these surroundings. The staff was attentive to any needs or questions and did a nice job of maintaining our room. For our travel plans to have started out so disastrously, Allamanda definitely saved the day and our vacation. 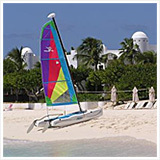 We loved Anguilla and we will definitely re-book at Allamanda Beach Club when we return. 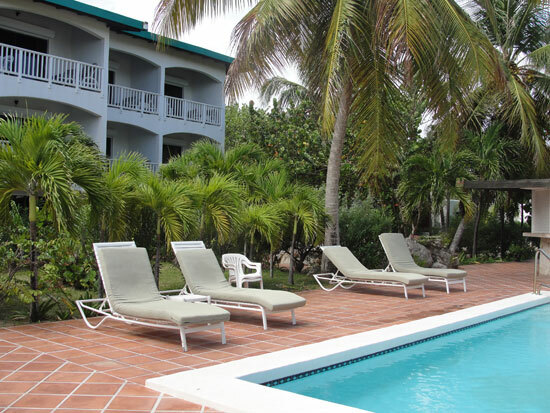 Allamanda has a lovely pool area that is spacious and has plenty of loungers. We followed the path out in the direction of the beach as we wanted to see how long it would take us to reach the clear blue sea that surrounds Anguilla. 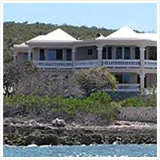 We were pleasantly surprised at how quickly and easily we reached Upper Shoal Bay (2 minutes). The trail and access from Allamanda to the sea deposits you at Gwen's Reggae Grill, which, if you haven't seen it, has one of the most spectacular Eastern views of the sea framed by swaying palms. Jeanette and James chose to spend most of their beach time near Elodia's on Lower Shoal Bay (just around the bend, to the west, from Gwen's Reggae Grill). You can rent beach chairs here for $5 each. Let your feet take you where they will. 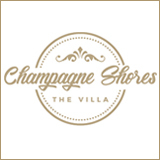 There are plenty of options on Shoal Bay! After we walked back to the hotel property, we saw standard rooms on the third and second floors. They are clean and comfortable. 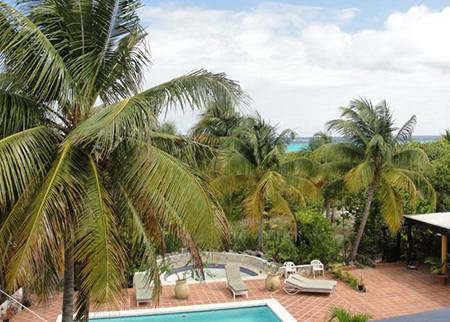 Allamanda Beach Club may not be the newest or hippest property on Anguilla, but it is a perfectly nice place to settle in for a relaxing vacation. That being said, there is some wear on the units. 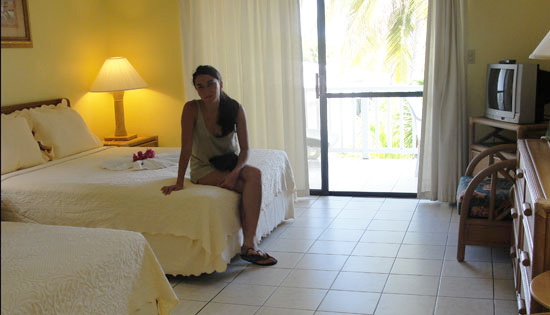 Studios, standard rooms, and deluxe suites are available, some with ocean views, garden views, and both views. The units have small but workable kitchens so if you feel like staying in for breakfast, lunch, and dinner - you'll have everything you need so long as you've stocked up on some groceries. 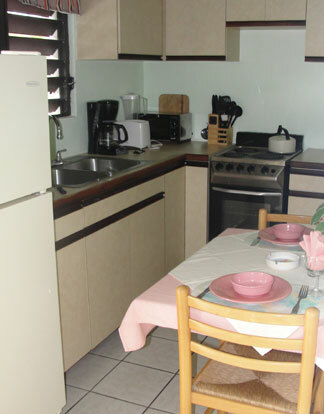 The kitchen was complete with a microwave, stove, refrigerator, coffee pot, blender, and cooking utensils. The bathroom has a smart set-up. While the sink sits close to the bathtub/shower and toilet, they are separated by a door. So, you can still wash your face and brush your teeth while your roommate or significant other is using the shower and vice versa. As they should be, the beds are located closest to the balcony (and the view! ), and covered in nice, soft linens. You could sleep on the balcony... it's large enough! And it is complete with loungers and chairs and table. Nori and I made our way to the private balcony and took a deep breath of fresh sea air. 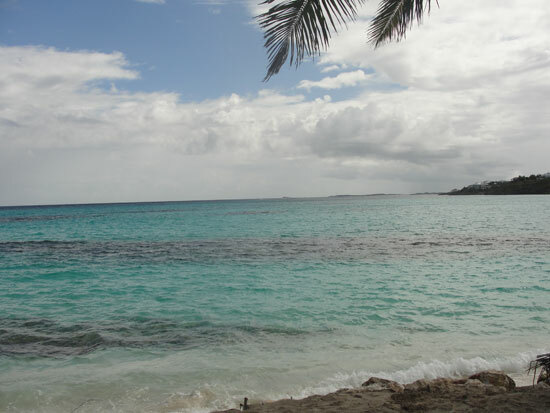 Ahhh, the turquoise of Shoal Bay off in the distance. The refreshing pool and lush flora and fauna surrounded us made it feel like a nice, quiet oasis. I was starting to see why Jeanette and James felt so at home and had a relaxing time with Allamanda Beach Club as their home base. 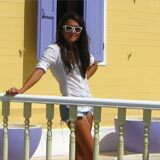 After seeing a couple of the rooms, we returned to the office to speak with the lovely and accommodating Karlyn. 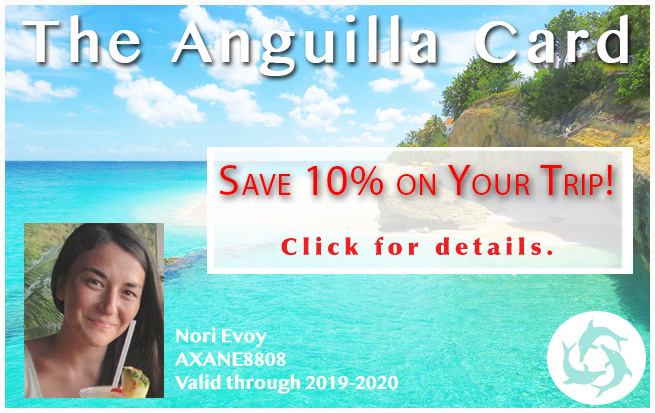 She shared some further amenities of this Anguilla hotel: Allamanda Beach Club has WIFI in all rooms, air-conditioning, ceiling fans, and satellite television. If you are traveling with a baby, they can provide a baby bed upon request. Maid service in included in the room rates and they visit your room every day except for Saturday. Note: Staff is not on-property on Saturdays. If you arrive on Saturday, other arrangements will be made to accommodate you. A convenience of Allamanda is that the restaurant Zara's is very close, in fact, it sits next to the pool. Zara's food is loved by many. It is a five-star restaurant, with five-star prices, too. Between your own kitchen at Allamanda, Gwen's Reggae Grill, and Zara's... you don't need to leave the area unless you want to get out and explore the magical island of Anguilla. Another nice amenity is that snorkel equipment is available at no extra charge. They really go out of their way to provide their guests with an easy vacation. How ideal! Not too fancy, not too much, and definitely not too little. Just right for a unpretentious, moderate, relaxing, quiet vacation on one of the world's best beaches (and best islands, too! ;-)). Jeanne from Pennsylvania shares her review of Allamanda Beach Club.